Recently I had the opportunity to take part in the very first combine run by the NPFL in an effort to find top athletes and showcase their abilities for the professional teams in the league. By now most people in the community have heard a lot about the league and it has generated a ton of buzz because of the opportunity it provides top level athletes like myself. The teams are signing athletes on as professionals and the sport has huge potential. The Los Angeles Combine was April 4th-6th and it was a great experience getting to catch up with people I have known for years and are now involved in the league along with getting to show my strengths in a very different format. 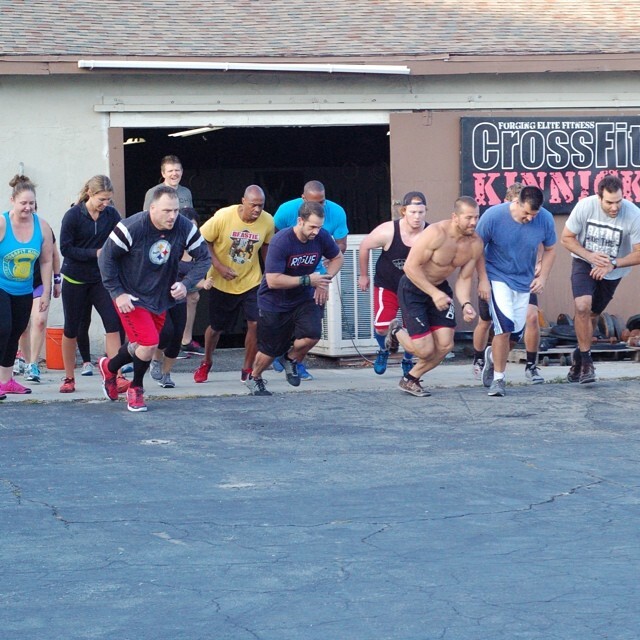 I have competed individually in CrossFit for going on 7 years now and it has been incredible. I am far from done pursuing my limits there, however, the team aspect of the NPFL is extremely cool and a very different kind of challenge that I feel really suits me. All of my life I have competed on teams with baseball and soccer and now there is this new sport that provides the chance to continue that camaraderie with the co-ed human performance races. This year will be my first competing with my affiliate team Kinnick Butter in the CrossFit Games season (currently 8th place worldwide), but I have also hopped into a few team competitions over the years including throwing down alongside Kenny Leverich at a local competition that we won 1st place at. Every team competition I have done has been a blast; the teamwork and strategy focused races that the NPFL has created is something I definitely can thrive in. The combine itself started out with the first day allowing athletes to choose which lifts, skills, and drills they wanted to showcase in the hopes of being called back for the final day where we would actually get to test run the first ever NPFL races so that the team operators could see how the athletes worked in the new format. CrossFit Kinnick was well represented at the combine with myself, my training partner Nick Robles, and my Kinnick Butter teammate Elyse Persico all heading down to test it out and show off the butter! All three of us snagged some PRs as we picked out different lifts and gymnastic movements to test and at the end we were called back for the final day where we were split off into mock teams to test races. The races were a ton of fun and it will definitely turn out to be just as exciting for spectators and new fans of the sport. After a long day of races, Tony Budding (CEO and Founder of the NPFL) listed off the 24 men and 24 women who would be invited on to the next stage of the combine: a two day event in June, after which teams will draft and sign players to their rosters. 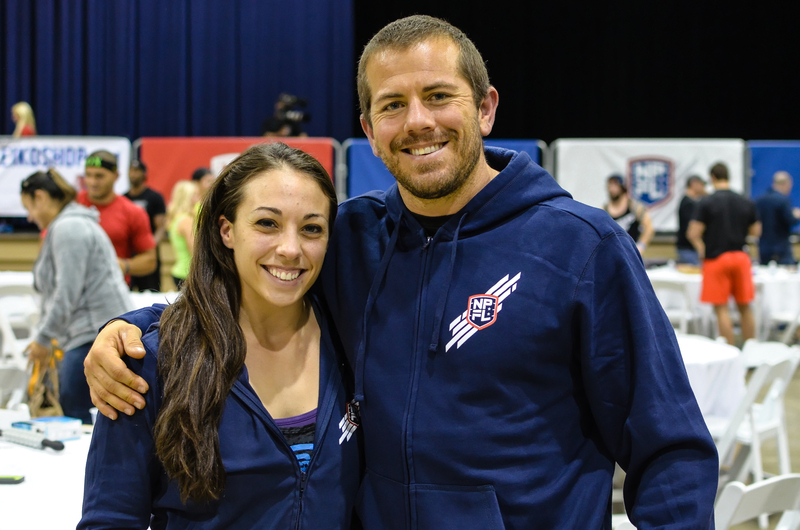 Elyse and I were both called up and I’m excited to continue on in the draft process for the NPFL! I’m thankful for the opportunity to take part in the beginning stages of the league and to help it grow!